Spackle is a ready-to-use compound used for holes, cracks and imperfections in plaster, wallboard, wood, painted metal and masonry. It dries very quickly and is considered to be shrink-free. You do not need to prime over a hole repaired with spackle unless you are spackling an exterior area. 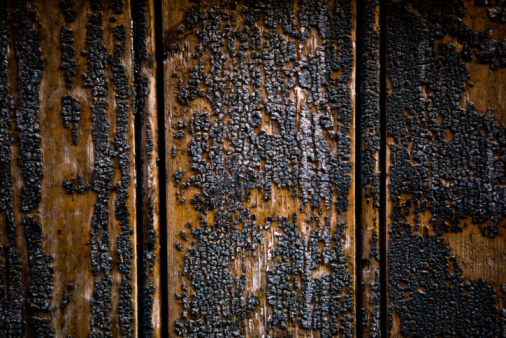 The process of spackling wood is the same as the process for using it on wallboard. 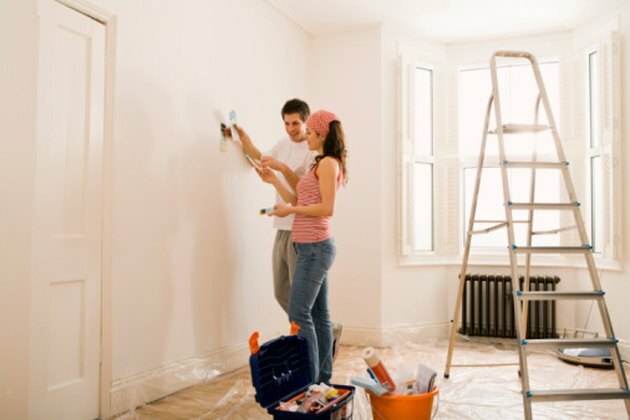 You can paint or stain the spackle as soon as it dries -- usually within one hour for small areas or two hours for larger areas. There are four types of spackle: interior, exterior, light and professional. Spackle is used to repair walls and wood trim before painting. Prepare the area for the spackle. Using a sanding block, lightly sand imperfections in and around the area. Remove any dust from the area with a clean cloth. Scoop out enough spackle from the container to fill the hole in the wood, using a putty knife big enough to completely cover the area you are repairing. Putty knife sizes vary from 3/4 inch to 4 inches. Press the putty knife over the hole, pushing the spackle into the hole. Scrape around the area, using the blade of the putty knife to remove the excess spackle. Allow the spackle to dry completely. Lightly sand the area to remove an overages or uneven edges. Wipe the area with a damp cloth to remove any dust resulting from sanding the spackle. Fill any deep cracks or holes with another coat of spackle, if needed. Wash the putty knife in warm, soapy water and dry thoroughly when you are done. Tightly replace the cover of the spackle container.